The current reality is that unless a political settlement is reached between Armenia and Azerbaijan over Nagorno-Karabakh and other occupied territories of Azerbaijan, nothing is promising about joint cooperation between Armenia, Azerbaijan, Georgia and Turkey in the foreseeable future. All projects involving Armenia and Azerbaijan in regional cooperation and integration initiatives have failed so far, and similar projects will continue to fail regardless of Turkey’s involvement as a new actor. It is an obvious reality that the energy resources of Azerbaijan enabled it to become both a donor and leader of trilateral cooperation projects between Azerbaijan, Georgia and Turkey. 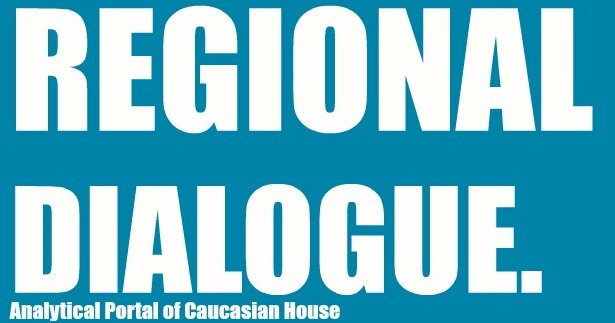 A recent event named ‘Azerbaijan, Georgia, Turkey: Trilateral Union and Future of Regional Policy’ hosted by the Centre for Strategic Studies under the President of the republic of Azerbaijan shows that trilateral cooperation is the only option for the future (News.Az 2014). Very limited dialogue might be continued at a societal level between the four countries within the framework of internationally-funded projects, but these projects will neither have a holistic impact nor change anything in the future considering the current reality. This is a very pessimistic, but a realistic image about the prospects for future cooperation between these four countries. This pessimistic approach does not mean that this article underestimates the importance of regional cooperation. In fact, a peaceful settlement of the conflict over Nagorno-Karabakh and possible cooperation will benefit all four countries and create conditions for durable peace and development. For Armenia, cooperation with Azerbaijan will let it participate in regional economic projects, open-up its borders with Turkey and minimize Russia’s economic and political influence. Since SOCAR has recently announced, Armenia can be involved in regional projects and even supplied with Azerbaijani gas (TREND 2014). Furthermore, possible cooperation between Armenia and Azerbaijan offer opportunities for Armenian citizens in terms of regional mobility, development of regional business ties and the provision of prosperity and security for Armenian citizens. For Azerbaijan, resolution of the conflict over Nagorno-Karabakh and possible cooperation with Armenia will let it reduce its military expenditures, ensure stable security and gain access to a new business market. For Turkey, cooperation with Armenia will help it to solve disputed issues. Cooperation between the four countries will bolster regional economic ties and integration. Regional cooperation will contribute to durable peace, democratization, sustainable development as a whole and accelerate the integration of these countries into the European Union. As mentioned earlier, it will unfortunately not be possible to involve Armenia in the ‘Trilateral Union’ of Azerbaijan, Georgia and Turkey in the future, despite the fact that regional cooperation may benefit all countries. 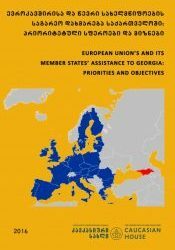 There are two essential reasons that will inhibit Armenia’s involvement in regional cooperation. Of them, the conflict over Nagorno-Karabakh is the most essential reason. The government of Azerbaijan has stated many times that it will not be possible to cooperate with Armenia unless the occupied territories of Azerbaijan are liberated from Armenian forces. 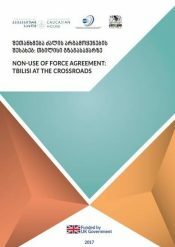 The idea of ‘Trilateral Union and Future Regional Policy’ that is a main vision of the Azerbaijani side shows that future regional cooperation will be continued with Georgia and Turkey. As the issue of occupied territories is equally important for the Azerbaijani nation, it will be unacceptable to cooperate with Armenians unless a political settlement is reached between the two sides. All projects which promote the idea of cooperation between the four countries will definitely fail as very few people in Azerbaijan are willing to cooperate with Armenia unless the occupied territories are liberated. Internationally-funded trust building projects will not open up opportunities for wider cooperation despite the fact that they will promote very limited people-to-people contacts. This limited framework will also continue in future without any substantial impact. Furthermore, an interesting formula of regional cooperation was determined during the Regional Cooperation and Stability Project held in Tbilisi. Successful regional cooperation is possible between the four countries, but these countries are supposed to ‘look towards the same direction instead of looking at each other’ in accordance with this formula. The same formula can be applied into the case of the countries in the South Caucasus and Turkey. However, the result will be very contradictory, and this contradiction is a second reason which will inhibit regional cooperation between Azerbaijan, Armenia, Georgia and Turkey. While Azerbaijan, Georgia and Turkey are looking towards the same direction, the same cannot be said regarding Armenia. Euro-Atlantic integration is the main goal for the Georgian government and people (Zasztowt, 2013: 5). 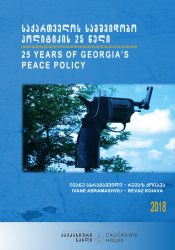 The language that Georgian official figures use in their speeches as well as on-going democratic and institutional reforms show that Georgia’s is very determined in its foreign policy goals. Most likely, it will continue its integration into Euro-Atlantic institutions. Turkey is a member of NATO, and it is also a candidate country to the European Union. As far as Azerbaijan is concerned, despite the fact that it conducts a so-called ‘balanced policy’, it also continues close cooperation with both NATO and the EU. It also cooperates with the Union in the field of energy projects and contributes to the energy security of its member states. 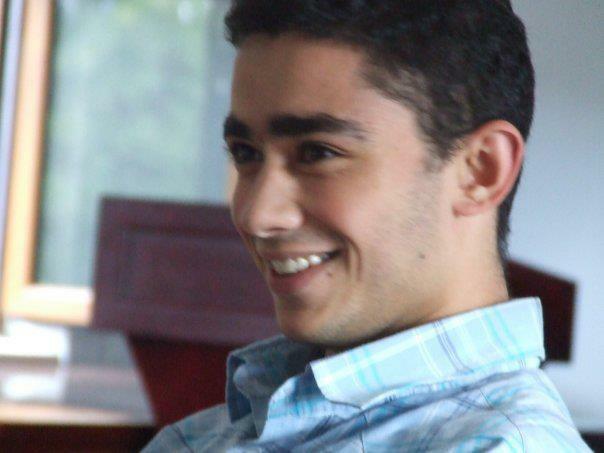 In addition, its financial resources let Azerbaijan conduct an independent foreign policy. Briefly, considering the foreign policy goals of these three countries in regard to Euro-Atlantic integration, these countries are looking towards the same direction in spite of particularities of their foreign policy priorities. However, the same thing cannot be said regarding Armenia. Armenia is going to become a member of ‘the Russian-led Customs Union’ this year; the Customs Union is quite often called ‘a rival project’ to the European Union (the Moscow Times 2014). Most likely, this project’s rivalry will grow after the recent EU-Russian crisis over Ukraine. As Goltz (1993: 92) puts it, ‘Armenia has seen Moscow as a guarantor of its very existence and it is ready to cooperate with Moscow to the extent of playing Moscow’s regional proxy against the other two Caucasian states’. Following the recent crisis in Ukraine, Russia has increased the number of its military aircraft in its base in Armenia; this testifies that Armenia is a proxy state for Russia. It is looking towards Russia differently to the other three countries. That is another reason which will make regional cooperation problematic in the future and inhibit the settlement of the Nagorno-Karabakh conflict as well. In conclusion, it is possible to say that cooperation is possible between the four countries, and it will benefit all sides. In fact, prosperity, development and security in the region depend on successful cooperation between the four countries. However, it will be unacceptable for both the Azerbaijani government and the Azerbaijani nation to involve Armenia in the ‘Trilateral Union’ of Azerbaijan, Georgia and Turkey without a peaceful settlement of the conflict over Nagorno-Karabakh and other occupied territories of Azerbaijan. Cooperation without a peaceful settlement of the conflict is not an option for Azerbaijan. References: Goltz, T. (1993) ‘Letter from Eurasia: The Hidden Russian Hand’, Journal of Foreign Policy, No. 92: 92-116. Moscow Times (2014) ‘Armenia to Join Customs Union in 2014’, Moscow Times, 11 January, available online at http://www.themoscowtimes.com/news/article/armenia-to-join-customs-union-in-2014/492367.html, accessed 14 March 2014. News.Az (2014) ‘Baku hosts conference on Azerbaijan-Georgia-Turkey trilateral union’, News. AZ, 17 February, available online at http://www.news.az/articles/politics/86579, accessed 14 March 2014. TREND (2012) ‘SOCAR announces conditions for the start of gas supplies to Armenia’, TREND, 10 June, available online at http://en.trend.az/capital/energy/2159942.html, accessed 14 March 2014. 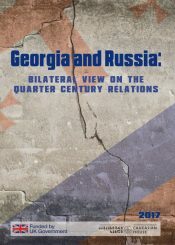 Zasztowt, K. (2013) ‘Georgian Dream’s Foreign Policies: An Attempt to Change the Paradigm?’, the Polish Institute of International Affairs, 3 (51): 1-6.